The Personal Insolvency scheme provides 3 options for the over 100,000 Irish people estimated to have a debt arrears problem. unsecured debt, up to a € 20,000 maximum. Organisations (known as Approved Intermediaries) which can advise and assist DRN applicants include the Money Advice and Budgeting Service. (MABS). A charge of € 100 will be made by the Insolvency Service of Ireland (ISI) to DRN applicants, although Approved Intermediaries are not allowed to charge for any assistance they provide in securing a DRN. € 20,000 and who have no reasonable possibility of solvency within a 5 year period of time. Applicants for a DSA will need to contact and work with a Personal Insolvency Practitioner (PIP) in order to comply with the terms involved in this option. The debtor can gain protection from any debt enforcement action by being approved for a Protective Certificate, which covers the period during which a sustainable debt repayment plan is negotiated. The Insolvency Service of Ireland will administer Protective Certificates, verifing their validity and then passing the DSA application to the courts which will actually issue the Certificates. The Personal Insolvency Practitioner will then assist the DSA applicant in arranging their debt repayment proposal, which must be approved by at least 65% of the creditors involved. A fee of € 250 will be made by the Insolvency Service of Ireland (ISI) to DSA applicants and debtors covered by this option will also be liable for fees charged by the Personal Insolvency Practitioner. If and when the debtors repayment proposal is accepted by the creditors, the PIP will then supervise the actual regular repayments by the DSA applicant to the creditors. The third option, available to debtors with mortage arrears as well as other types of debt, is the Personal Insolvency Arrangement (PIA). This option has a lifetime of 5 years and allows for an agreeed settlement between debtors and creditors for secured debts of up to €3 million (with a provision of an increase in this figure if all secured debtors agree) and unlimited unsecured debt. 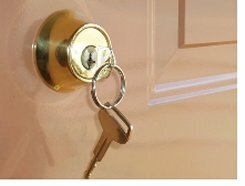 Personal Insolvency Arrangement applicants must have, according to the ISI: "co-operated under a mortgage arrears processs for a period of 6 months with your secured creditor in respect of your principal private residence." . The Personal Insolvency Arrangement option potentially gives the debtor a chance to have some fraction of his/her negative equity debt written off by the mortgage provider. The steps involved in the granting of a Personal Insolvency Arrangement are similiar to those of a DSA: A PIP is contacted by the PIA applicant, a Protective Certificate is applied for and, if granted, the PIP then assists the PIA applicant in preparing a debt repayment schedule. A successful PIA proposal will include the agreement of 65% of total creditors and of at least 50% of secured and unsecured creditors. The cost of securing a PIA includes a € 500 Insolvency Service of Ireland charge as well as whatever fees are charged by the PIP. Successful DSA and PIA applicants, although avoiding formal bankruptcy through the debt repayment options outlined above, will have their names published on a public register. This summary is based on recent articles in the Sunday Business Post and Irish Times newspapers. 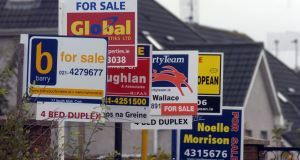 DISCLAIMER: All information provided on the IrishHouses.ie and PropertyRegister.ie websites is subject to errors and omissions and does not constitute legal, investment or any other form of advice. Always obtain independent, professional advice for your own particular situation. 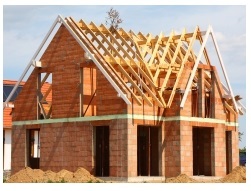 IrishHouses.ie and its associated websites: PropertyRegister.ie & PersonalInsolvencyService.ie are personal property blogs, providing free information of a general nature on house related costs and charges to property owners. Our websites have no connection of any kind with any of the commercial businesses or public bodies mentioned in our articles. For the latest information on the Personal Insolvency Scheme, you should visit the Insolvency Service Of Ireland website.